From the front, the X-T30 looks quite similar to the X-T20, but Fujifilm has done some tinkering with the rear design. The company has added a focus joystick and removed the d-pad, figuring that the various dials, focus lever, touchscreen, and Q button — now in a more convenient spot for thumb access — are adequate for controlling the camera. That rear LCD is 10 percent thinner than the X-T20’s. The whole package is a good deal tinier than the X-T3. I think it’s a little too small in my giant hands to be my everyday camera, and it also lacks weather sealing. But if you’ve got normal-sized hands or don’t plan on taking it out in the rain, those won’t be dealbreakers. With the X-T30’s reduced size, you lose out on the locking ISO and shutter speed dials that the X-T3 has (plus the lockable diopter) and have to live with only one SD slot, but on the whole Fujifilm has done a good job preserving the manual controls of its larger cameras, and plenty of the buttons can be customized to your desired function. The tiny built-in flash is also still here. The EVF is a lower resolution than the X-T3’s; same goes for the back LCD. But they’re competitive with other cameras in this category, and the touchscreen’s responsiveness is excellent. 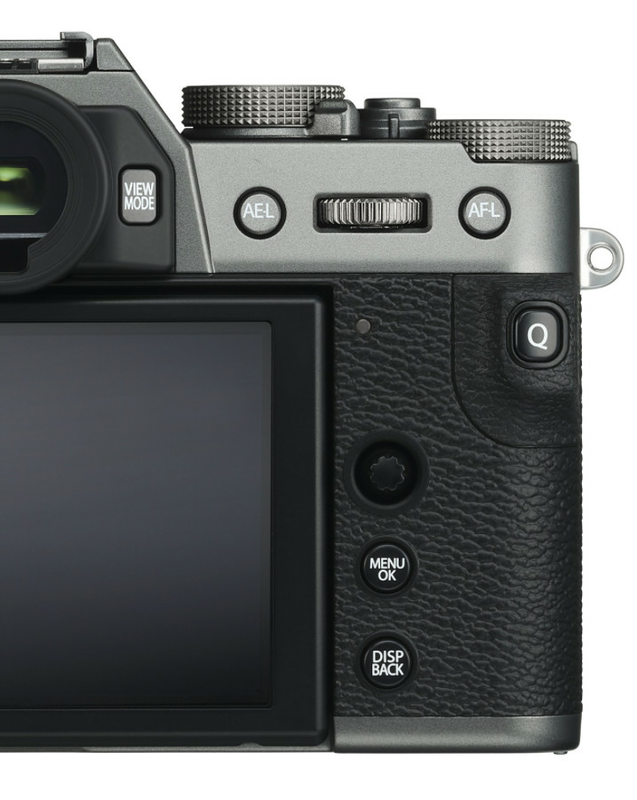 The back right half of the X-T30 has seen the most design changes. Goodbye, d-pad. Hello, focus joystick. Inside, there’s a lot that’s similar to the X-T3. The X-T30 has the same 26.1-megapixel X-Trans CMOS 4 backside-illuminated sensor and X-Processor 4 quad-core CPU as the X-T3, offering all the performance advancements in autofocus speed and accuracy that Fujifilm has made with its fourth-generation system. Phase-detect autofocus points are spread across the entire frame. Continuous shooting runs up to 30fps with the electronic shutter (and a 1.25x crop) or 8fps mechanical. It can focus down to -3.0EV and can process functions 150 percent faster than the X-T20 with the help of those upgraded internals. And get this: the X-T30 will actually ship with better autofocus capabilities than the X-T3. It’s got improved face and eye tracking — you can choose the face you want to prioritize if there are several people in a shot — and maintains a more stable exposure when focusing on someone with black hair. It can also detect faces that take up as little as 7 percent of the frame. 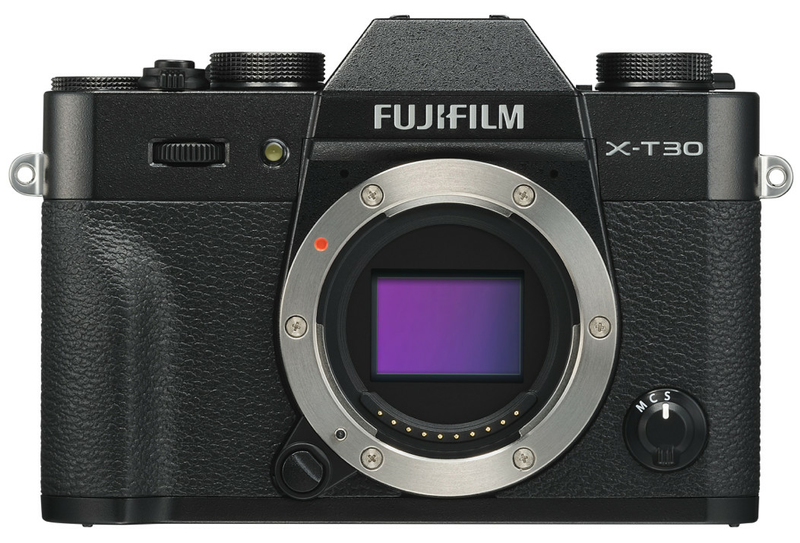 (The X-T3 will receive all of these enhancements and more via a firmware update in April.) In terms of stills, the X-T30 matches the X-T3 at what’s most important. The main difference is that the buffer runs out a bit faster during burst shooting. Video is where the X-T30 is a slight step down from the T3. First, 4K recording is limited to 30p, whereas the pricier camera can hit 60p. Second, in-camera video is limited to 8-bit 4:2:0 footage. (The X-T3 can record 4K/60p in 10-bit 4:2:0 internally to an SD card or 4:2:2 externally over HDMI. The X-T30 can also output 10-bit 4:2:2 through HDMI — just not internally.) Third, the X-T30 maxes out at a bitrate of 200Mbps versus 400Mbps on the X-T3. But the video quality is still excellent, as it’s downsampled from an original resolution of 6K at full sensor readout. And last, there’s no traditional headphone jack on this camera for audio monitoring, but Fujifilm has a solution: USB-C. Yes, dongle life has come to the camera world; if you plug in a USB-C headphone adapter, you can use the port for audio instead of charging. And it works! It’s easy to mock a dongle hanging out of a camera, but I think it’s a clever solution for limited port space. Alongside the X-T30, Fujifilm is launch a new 16mm f/2.8 lens that it’s positioning in the same family as the 23mm, 35mm, and 50mm f/2 water-resistant primes. It has the same, clicky, very satisfying aperture ring and a compact design like the others, so I think the connection makes sense — even if it’s not quite as fast. The focusing system “is driven by a stepping motor, which drives the lens’ focusing elements into place through precise electrical pulses for extremely fast and auto-focusing capabilities,” says Fujifilm. And you can feel this lens focus as you turn the focus ring. I like it, but I could see how others might not. The 16mm f/2.8 costs $399.95 and will be available in March (black) or May (silver).